The key to the bacteria's survival is its adaptability and persistence in stress situations. Certain genetic mechanisms allow L. monocytogenes to react to and block the effects of cleaning solutions and disinfectants. Researchers from the Institute of Milk Hygiene were able to decipher this function for two of the food pathogen's genes. 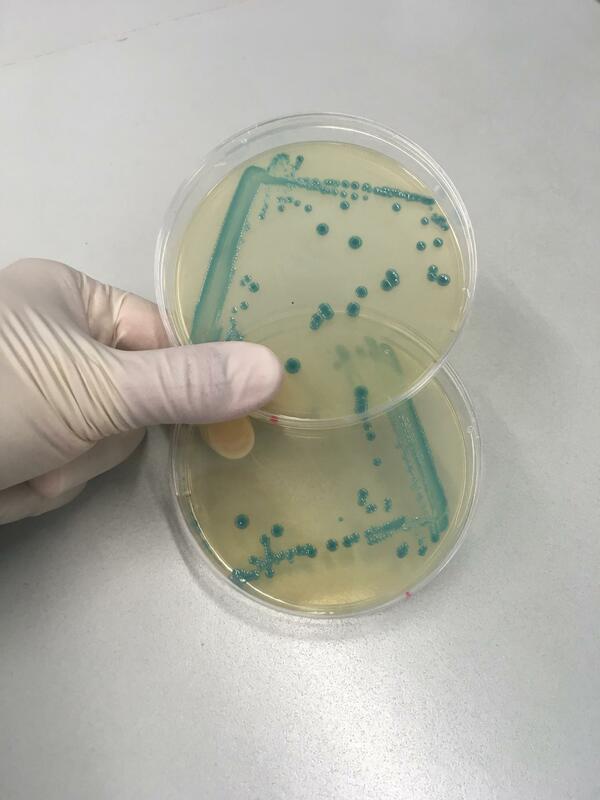 They showed that these genes form a functional unit that ensures the bacteria's survival despite the hygiene standards in the food production industry. Hypervariable, i.e. easily changeable, regions of the genome contain genetic inserts that help Listeria survive. "These inserts include a unit of gene sequences, the stress survival islet 1 (SSI-1), a 'genomic island' that helps the microorganisms to survive certain stress situations," explains first author Eva Harter. "Depending on the specific bacterial strain, this region accommodates one of three different gene sequences whose function, with the exception of SSI-1, had so far not been known." The expression of the two genes and of the proteins which they code is increased during alkaline and oxidative stress. They must therefore have a different function than the genes belonging to the SSI-1. "We were able to assign a function to the two genes. The first gene is a transcriptional regulator, which in certain situations regulates the frequency and activity of the second protein. The second is a protease, an enzyme that breaks down other proteins. Proteases help bacteria break down unfunctional proteins that are created during stress situations," says Harter. "If the regulator is not active, then there is no protease. Without the protease, Listeria monocytogenes has a harder time compensating oxidative stress. The two genes therefore make up a functional unit, specifically the stress survival islet SSI-2," says study director Kathrin Rychli. This islet is predominantly found in L. monocytogenes strains that are specialised for food and food processing environments. "We were able to identify a specific genome type in which the SSI-2 sequence is always present," explains Rychli. "This sequence type, ST121, is found almost exclusively in food and the food processing environment and hardly ever in clinical isolates. In strains forming part of the ST121 group, SSI-2 is highly conserved i.e. completely identical." SSI-2 thus appears to be niche-specific. Most Listeria strains found in clinical isolates do not have SSI-2." Through the discovery of the new stress survival island, the researchers, with project funding provided by the Austrian Science Fund (FWF), were able to describe an important survival strategy of foodborne Listeria. "Knowing the genetic mechanism, allows you to think about new strategies for food safety," says Rychli.